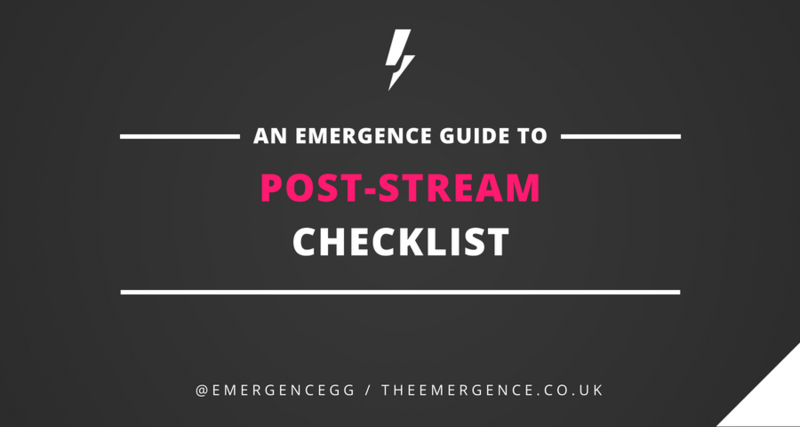 I wrote this because I’m forever forgetting all of these myself after every stream, and my panic upon realising is hilarious. 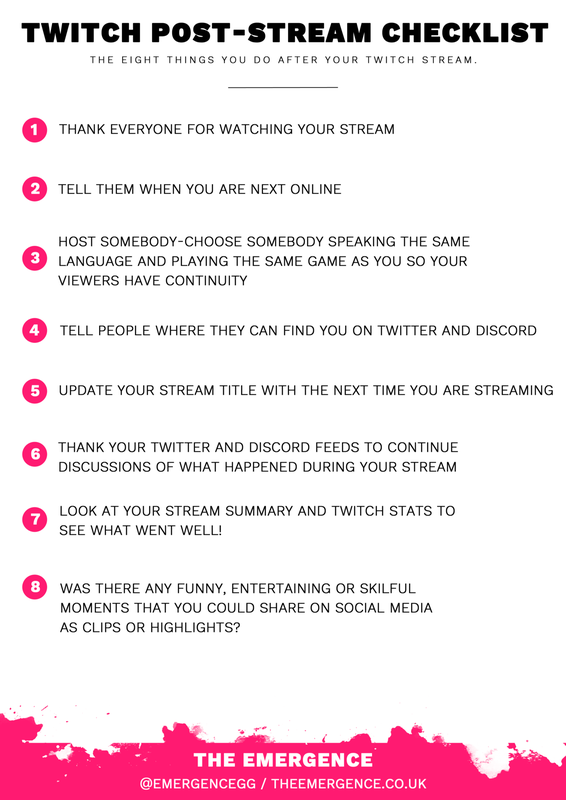 Thank your Twitter and Discord feeds to continue discussions of what happened during your stream — this is community management 101! Look at your Stream Summary and Twitch Stats to see what went well! Was there any funny, entertaining or skilful moments that you could share on social media as clips or highlights? Is there anything else you do after your stream? Let us know on our Twitter! You can download a print-out here by clicking on the image. Click the image if you want to download this!